Oops, You Couldn't Make Valentine's Day! With the popularity of Valentine’s Day, it seems impossible to imagine what would happen if you were to miss the crucial date. But, every year, some couples can’t make it for a reason or another. When Valentine’s Day falls on a weekday, it can be tricky to manage professional or family duties and keep the evening off. Indeed, when you’ve got a business meeting at the other end of the country, there’s nothing you can do to avoid it. After all, when duty calls, can you afford to ignore it? Similarly, February can be a busy month for creative agencies, as their clients are often in the process of getting their spring marketing campaigns approved. For designers, digital advertisers, and content creators, February can accumulate projects – primarily as the some of your clients have also booked winter breaks, which means that projects need to be finished and signed off before they go on holiday. In short, depending on your line of work, you may not be able even to get an evening off to enjoy a romantic dinner with your boo. And even if you can free up some time for dinner, you’re likely to be far too stressed out with work to make the most of the evening. It might be better for both of you to cancel the celebration altogether for now. But, let’s be honest; you can’t spend a second without spotting a bright red heart in the distance – whether you’re going shopping or you’re checking your flight times online –, it’s fair to say that your partner doesn’t take the absence of Valentine’s celebration lightly. Consequently, instead of letting the situation take a sour turn and escalate into an argument, you can choose to plan a belated Valentine’s Day dinner. After all, what’s stopping you from organizing a romantic evening together once you both have room to breathe again? Love doesn’t have to happen only on February 14th! First of all, it’s fair to say that communication is vital. If you want to go through the hassle of a missed Valentine’s Day dinner, you need to make sure your partner knows from the start that you can’t make it. Take the time to explain your situation and clarify expectations as early as possible. It’s best to discuss the matter than letting them expect a surprise invitation that will never happen, as they will be disappointed and angry. Additionally, most people are naturally pushed to expect romantic gestures on this special day – you have the media and the shops to blame for encouraging their expectations. In other words, keeping your situation quiet and hoping they’ll forget about Valentine’s Day isn’t going to work. You need to let them know that it’s not a good period for you, while promising to organize something together as soon as you can. Leaving them in the dark about your intentions is unfair! How do you best approach the topic? Be candidly honest. The main reason why people choose to skip Valentine’s Day is that they’ve got too much going on in other areas of their lives – whether work or family – to be able to dedicate their undivided attention to a romantic night in or out. Your partner will understand that you can’t compartmentalize your day-to-day stress away to be 100% with them at the moment. As you want to be on your best behavior for them, you’d rather wait until things have calmed down on your end. Why not ask them what they would like to do for your belated date? It’s the best way of indicating that you don’t want to cancel Valentine’s magic, postpone it to a more suitable opportunity. Do you still need a present? The first question that might pop to mind if whether you still need a present even if you can’t make it to Valentine's celebrations. Opinions are divided as to whether you should provide a present on the day, or wait until you can arrange your romantic dinner together. You can, if you wish, organize flower delivery or grab a box of yummy chocolate – or heart-shaped cupcakes – to mark the date together. But, as long as your partner knows when you’re planning to celebrate your belated Valentine’s party, you don’t have to give them a present on February 14th. However, do make sure, if you usually have a tasteful gift, to plan something cute and memorable for the postponed celebration. Fine jewelry is always a winner, and you can keep things interesting with beautiful Montana yogo sapphire items, as the deep cornflower blue hue adds a delicate sparkle to any outfit. A ring makes the perfect romantic present, especially if you’re tempted to get on your knee during your belated Valentine’s dinner. You can, of course, also look into luxury fragrances or even elegant accessories, such as a personalized and engraved leather purse. Do you need a card? Should you or should you not make a card? Valentine’s Day cards are easy to prepare, even if you’re running out of time or can’t make it for dinner. The card acts as a token of your affection. It’s a message of love, which is about reminding your partner of how much they matter to you. Everybody agrees that a handwritten note inside a card is all it takes to put a smile on someone’s face. However, when time is short, you may not be able to get the card ready. You can use an e-card with a personalized message to let your boo know that even if Valentine’s dinner is postponed, your affection is always present. Sometimes, a short SMS can do the trick too. Ultimately, Valentine’s Day is about feeling loved, so you can spare a few seconds to send a heart emoji or a cheeky message. What’s the best celebration for a night at home? It’s generally a good idea to celebrate at home, especially if you want to give your sweetheart the most romantic dinner in town. Indeed, most restaurants prepare fanciful additions to their menus and decor for Valentine’s Day. However, more often than not, these additions disappear once the day is over. Besides, if your main concern in delaying your romantic dinner is to be able to spend more time together, your home is the best place to be. What does a perfect Valentine’s dinner need? It needs a glamorous and exciting dish – which can be great if you’ve got plenty of time ahead and excellent kitchen manners. Scallops are a fantastic choice as they’re a quality and delicate product. You can start your dinner with a homemade scallop bisque, which is a decadent creamy dish with rich flavors. You can pick a refreshing Pinot Noir to accompany your bisque, as they will complement each other perfectly. Non-wine drinkers can also opt for the complex flavor of a scotch, which adds a new dimension to your scallop dish. Admittedly, you might want to organize a stay at home night, but you’re not ready to spend your time in the kitchen. After all, at the end of a long day, you might prefer to prioritize your time together and get the cooking done as quickly as possible. Don’t worry; you can still prepare something delicious in less than 20 minutes. After all, who doesn’t like a comforting bowl of pasta with a seasoning twist? In a few minutes, you can get a delicious dish of spaghetti in a creamy avocado and spinach sauce that will keep you both satisfied. Even a takeaway can feel romantic if you take the time to plate it appropriately. 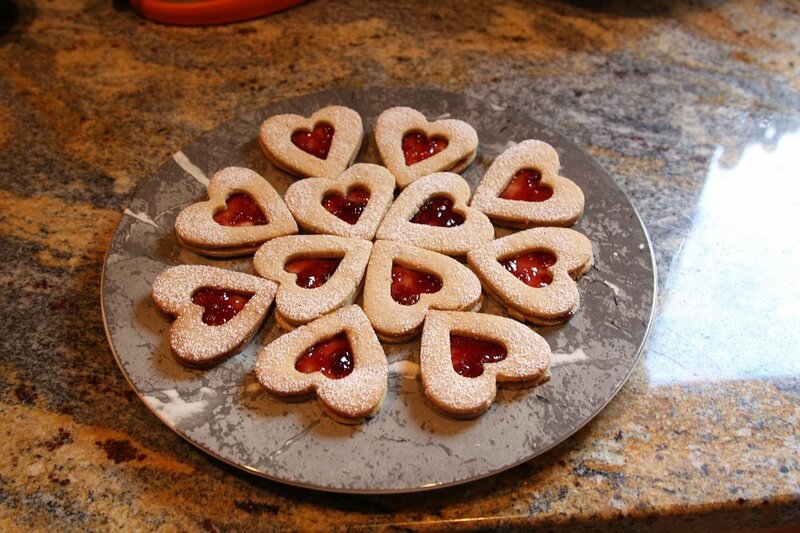 Do you know why heart-shaped cookies are the best addition to your dinner? Because they are very easy and quick to make but still show that you’re invested in the relationship. Indeed, if you don’t have time to prepare anything for dinner, try at least to bake a few cookies. You can easily choose to bake and decorate them together as you’re waiting for your delivery – if you’ve ordered food. You’d be surprised by the difference it will make to your relationship. Cookies do bring people together! Even though you’re staying at home, try to make an effort and put a stylish outfit together for the evening. You may not feel comfortable with a tailored suit or the traditional LBD – especially if you’re cooking – but how about something practical and elegant? A simple pair of jeans and a bright blouse can go a long way without feeling over the top. Ultimately, it shows you care, and that’s what matters to your partner! 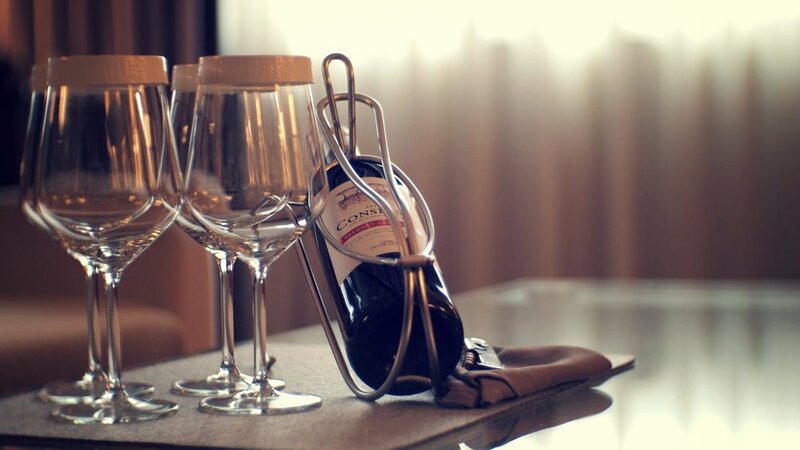 Finally, you can choose to organize a romantic weekend together in the Napa Valley – ideal for wine lovers – or Sedona in Arizona. After all, what’s more romantic than planning a weekend away with your darling? Ultimately, Valentine’s Day is just a day. As long as you can keep an open conversation with your partner, there’s no reason why you couldn’t pick another date to celebrate your relationship.